Computational science approaches, algorithms, frameworks, etc. Generic big data problems that do not fundamentally advance computational science algorithms are not suitable for MICDE Catalyst Grants. Priority will be given to high-impact projects with potential to eventually attract external funding. MICDE expects to fund 3-4 one-year projects at up to $100,000 each. Click here to read about the proposals that were funded during the first two rounds of awards. Is the proposed work sufficiently novel, relative to the field, rather than an incremental extension of existing work? Have the ideas being proposed demonstrated a likelihood of success? Is there a plan for specific external funding agencies to be approached as an outcome of the proposed project, and a justification for why those agencies may find the work compelling? For full proposals: has a plan been formulated for how the infrastructure of Advanced Research Computing (ARC) at U-M will be leveraged in a proposal to external funding agencies? A maximum of $100,000 may be requested. Graduate student/post-doc salaries, PI/Co-PI summer salaries, travel, and cost for accessing ARC computing resources are allowable expenses. At least 80% of the funds should support post-doctoral fellows and/or graduate students. Projects must include a detailed work plan for all involved personnel, including PIs/co-PIs. Indirect costs will not be levied on the funds and no cost sharing is required. PIs/co-PIs should be tenure track or research track faculty at the University of Michigan, Ann Arbor Campus. Collaborative projects, especially those that show potential to seed center-level external proposals, are encouraged. Title and all investigators’ names and emails. You may include postdocs, and non U-M collaborators, but not graduate students. Two pages including project description, plans for follow-up funding, personnel, and budget outline, in a pdf file. Please include the corresponding author’s last name in the file name. References (no page limit). Please include the corresponding author’s last name in the file name. 2-3 suggested expert reviewers from U-M (full name and umich email address). Deadline to submit was March 18, 2019. 6 pages with project description, plans for follow up funding, leverage of ARC resources and personnel. 2-page NSF or NIH-style CV for PI and co-PIs. A detailed budget and budget justification. Full proposals will be due at the end of April. Q1: Should the proposal include mathematics, computer science, and/or cyberinfrastructure collaborators? A1: Such collaborations are by no means required, but encouraged. Cyberinfrastructure collaborations could come by engaging closely with ARC-TS or CSCAR. Q2: Must projects have new developments in computational methods, or are innovative applications of existing computational methods also acceptable? 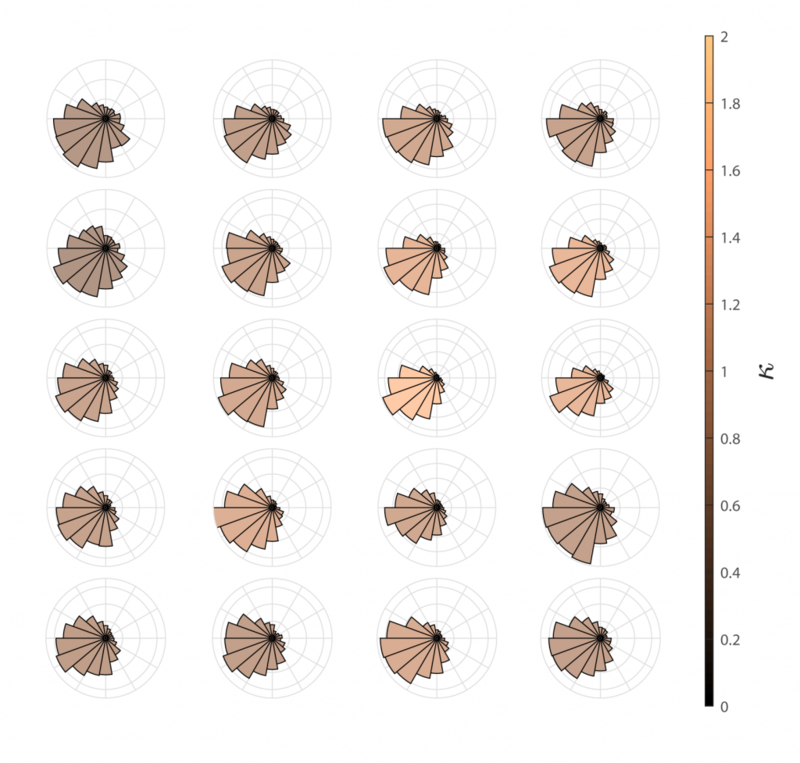 A2: Innovative applications of existing computational methods are also sought. Q3: Can a proposal have a single PI? Q4: Should PIs/co-PIs be MICDE affiliated faculty? A4: No, affiliation to MICDE is not required. Q5: Will other research areas not listed be considered? A5: Yes! Every research project with a relevant computational component will be considered. Q6: If my project is chosen, is there a deadline for the start of the project? A6: All projects should start by September 1, 2019 to give PIs a chance to recruit students/post-docs. Q7: Does the $100,000 have to be used up in 1 year, or could it be extended? A7: Extensions will be considered but PIs are strongly encouraged to have a plan to use all the money in 1 year. Q8: Can any funds be used for lab analyses or equipment? A8: Data-analyses are ok, but at this time in-house experiments or experimental equipment cannot be funded through this grant. Q9: Does MICDE want software to be an output of the project? A9: No, software is not expected as an output of the project, but it could be a component of the project. Q10: What are the deliverables? A10: We will require teams to meet at the end of the project to share results, and discuss what worked/didn’t work in the process. Q11: How many pre-proposals will be invited to submit a full proposal? A11: We expect 8-10 proposals. Q12: Can there be external collaborators? A12: Yes, but all the money should be spent at U-M.
Q13: Should the project aim for one specific call for an external agency or foundation, or can it target several funding opportunities? A13: It doesn’t have to aim for a specific call, the project can target more than one. Q14: Can funding include PI salary (as required by, e.g., the Medical School)? A14: PI salary can be included, but it should be accompanied by a justification of the precise role of the PI in carrying out the research, not only managing it. Q15: Which tuition rate will be charged for students? A15: Only candidates’ rate will be allowed. Q16: What Flux rate will be charged for these projects? A16: The negotiated rate for the PI/co-PI School or College. Q17: Can a PI/co-PI participate in two pre-proposals? A17: A researcher may be the Principal Investigator in only one proposal. There is no restriction for the number of proposals a researcher may participate as a co-PI. Caption: Chemical waves and elastic deformations in thin gel sheets. (a & b) Target and spiral waves in the BZ (Belousov-Zhabotinsky) chemical reaction. (c) Numerical simulations of the BZ reaction. (d) Resulting reference metrics and shapes for the gel sheet. 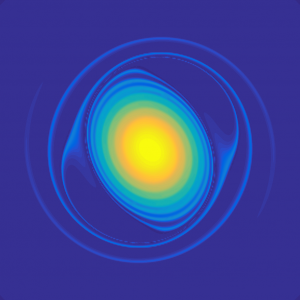 (e) Experimental images of oscillating gels. Description: The research team will enhance urban flood monitoring and prediction using NASA Cyclone Global Navigation Satellite System (CYGNSS) data, taking advantage of state-of-the-science uncertainty quantification tools in a proof-of-concept urban flooding problem of high complexity. The problem of flood prediction incurs multiple uncertainties (a) and is of high computational complexity (b). 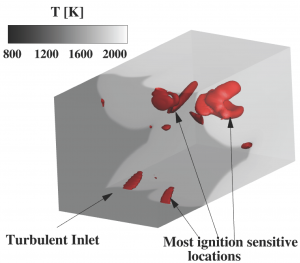 New remote sensing data from the CYGNSS mission (c) can inform complex physically-based simulations (d) but in order to achieve feasibility of real-time solutions and uncertainty quantification, novel approaches are required. 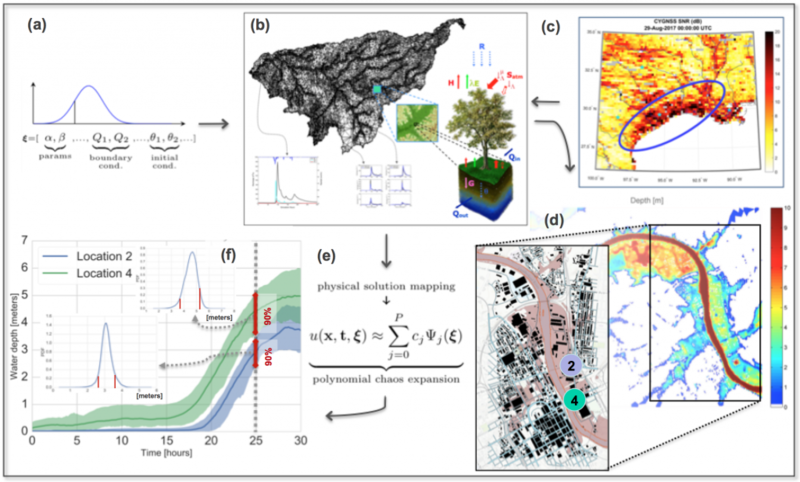 This project will develop reduced-order modeling tools (e) as innovative, parsimonious representation of rigorous hydrologic and hydrodynamic model formulations to efficiently obtain probability density distributions of one or many quantities of interest (f). 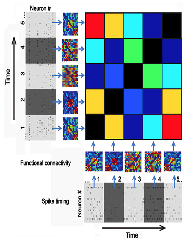 Polar plots showing the rhythmic phases of spikes fired by human neurons, revealing systematic variations across space and time. 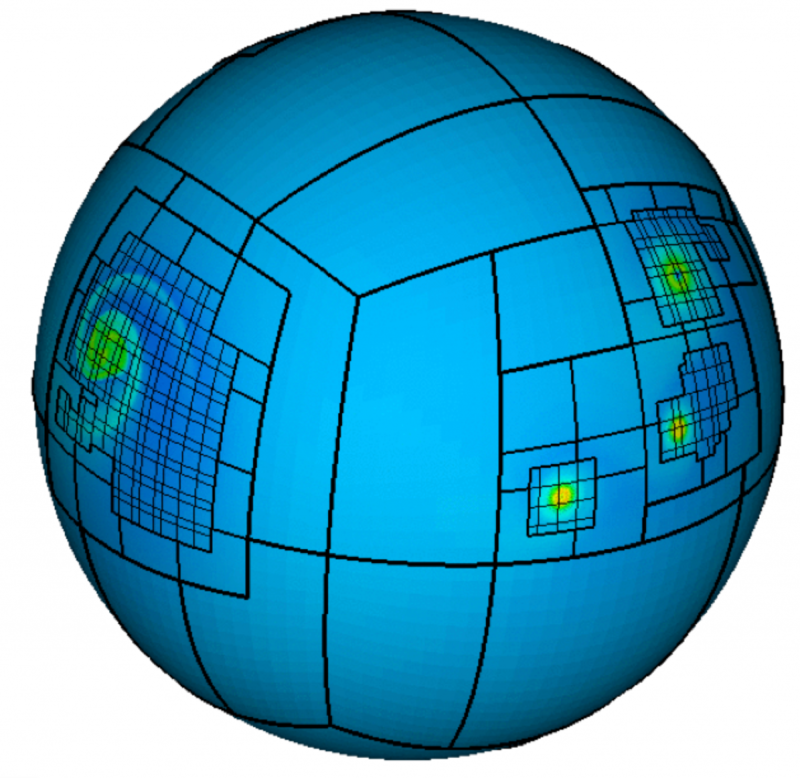 Structure of a block-structured adaptive grid that overlays a so-called ‘cubed-sphere’ base grid. The atmospheric vortices (in color) resemble idealized tropical cyclones that are captured by the refined grid patches. The adaptations are guided by the location and strength of the rotational motion. 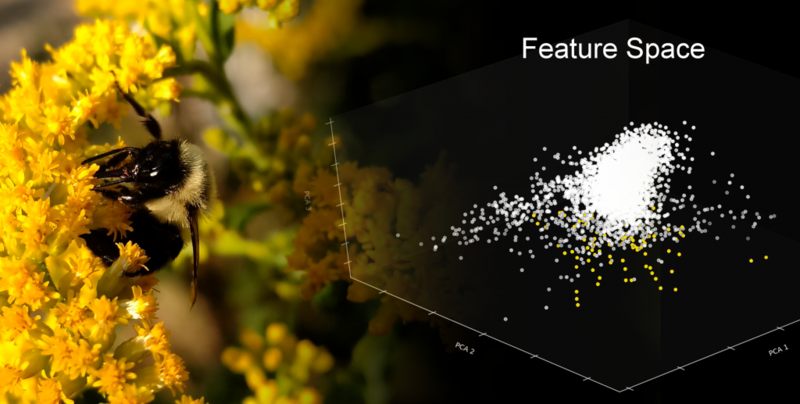 Embedded sensing and machine learning to distinguish pollinators (Bombus impatiens pictured) from other sound sources in natural environments. 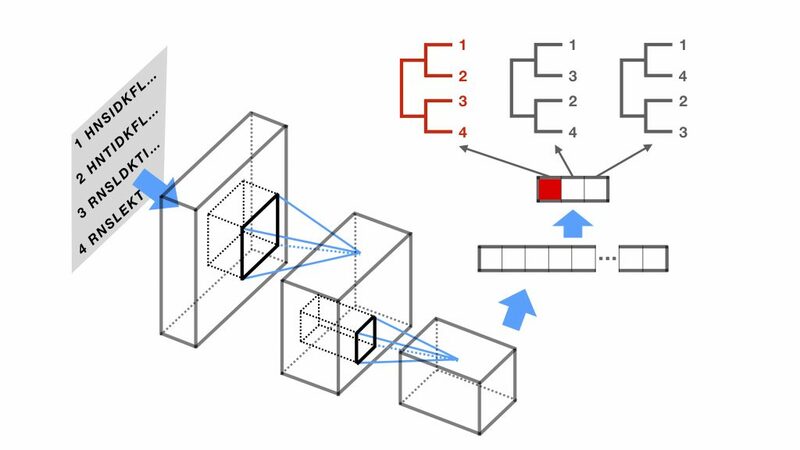 Molecular sequence data are input into layers of neural network structures to produce a score for each possible tree topology describing how well the tree fits the data.